Adjacent to the Hyatt Regency Coconut Point Resort, this challenging Raymond Floyd design includes 27 holes of golf, expansive practice facility and pro shop. 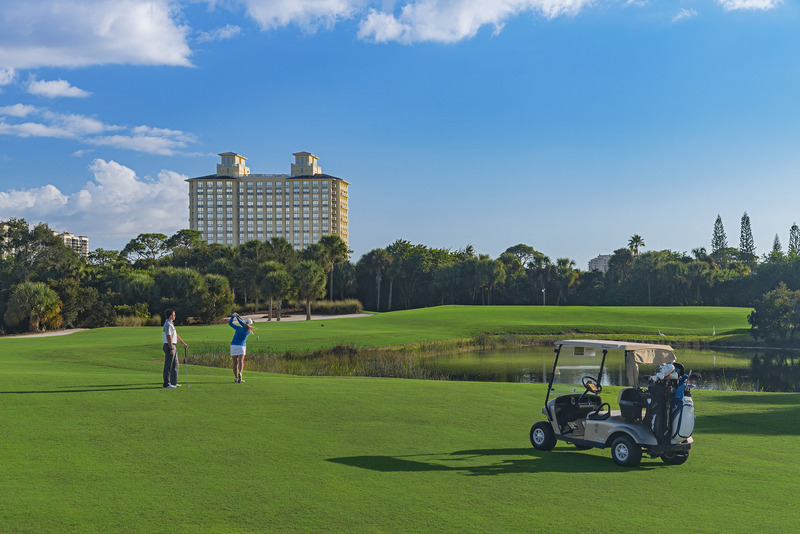 Each hole was carefully crafted to blend with the environment, leaving a beautiful course with natural surroundings that made history... as Raptor Bay became the first resort course in the world to receive Audubon International's Gold Signature Certification. The championship course features wide fairways, strategic bunkering, undulating greens and five sets of tees so the course can play from a variety of lengths and angles. And, with no residential sites on the property, the natural surroundings encourage the appearance of protected wildlife such as American Bald Eagle, Great Blue Herons, Snowy Egrets and even the shy Whooping Crane.